In 2019, Dartmouth alumni are answering The Call to Serve by contributing 250,000 hours of volunteer time in honor of the College’s 250th anniversary. We’re following alumni far and wide to find out how they’re making an impact, one hour at a time. There’s only one gastroenterologist in all of Bhutan. It’s true: In a country of 800,000 people, that’s a serious dearth of experts in GI-related diseases. But Neal Rakov ’74, a Santa Fe-based gastroenterologist, is doing what he can to help. 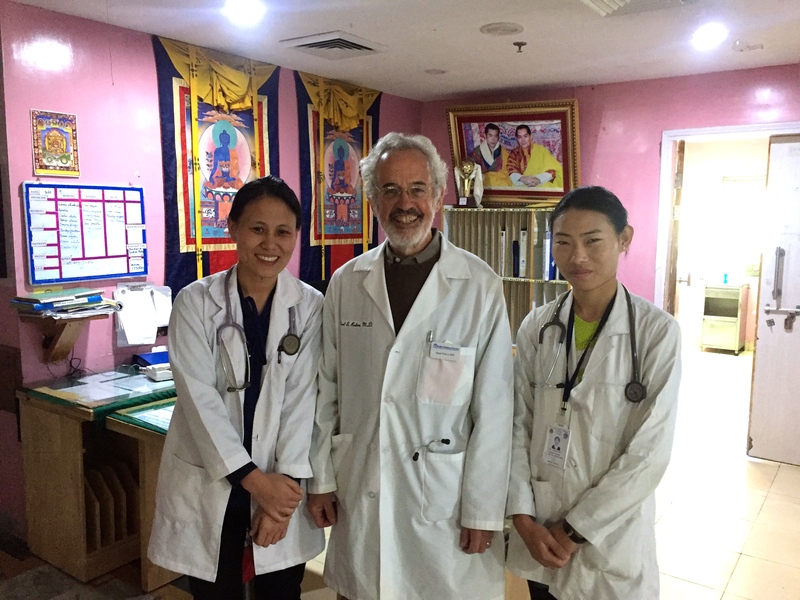 When Rakov returns to the capital city of Thimpu this September, it will be his fifth month-long volunteering trip in Bhutan with Health Volunteers Overseas since he first traveled to the Himalayan country in 2014. Over the course of a month, he’ll devote around 160 hours of service to the cause. To maximize the impact of those hours, Rakov won’t just consult directly with patients; he’ll also spend time teaching gastroenterology and endoscopy to the country’s interns, residents, and staff physicians, bolstering their skills to support patients once he leaves. “Throughout my career in medicine, I always enjoyed teaching,” says the doctor, who utilizes a mix of formal and informal pedagogic strategies. On a typical day, Rakov begins with intake rounds and ward rounds, then spends time in the endoscopy suite helping surgeons—and the country’s single gastroenterologist—to improve endoscopic techniques. (If he’s lucky, he’ll be interrupted with tea and biscuits from the nursing team.) After formal didactic sessions in the afternoon, Rakov spends an hour at the gym—starting slowly, since he’s at 8,300 feet in elevation—before heading to dinner at a local restaurant. Rakov meets a monk while hiking. 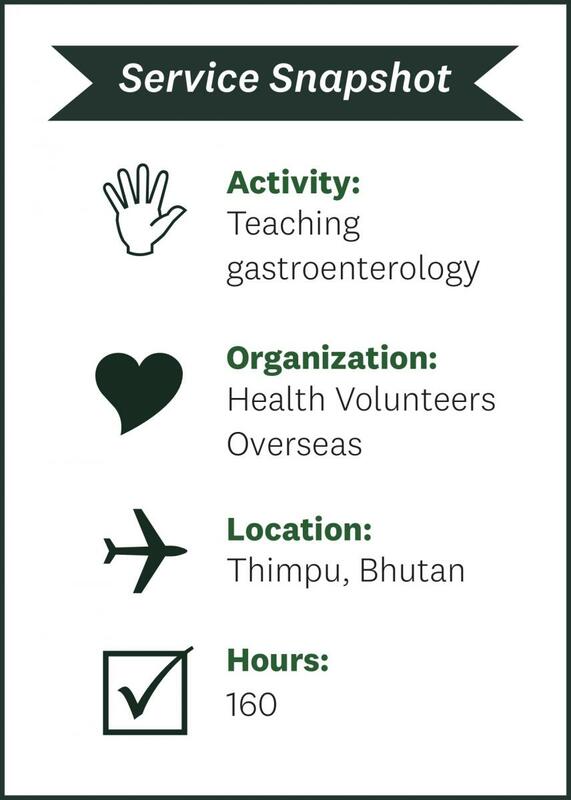 For Rakov, volunteer time isn’t just about giving; the experience of living in Bhutan has been fruitful on many levels. 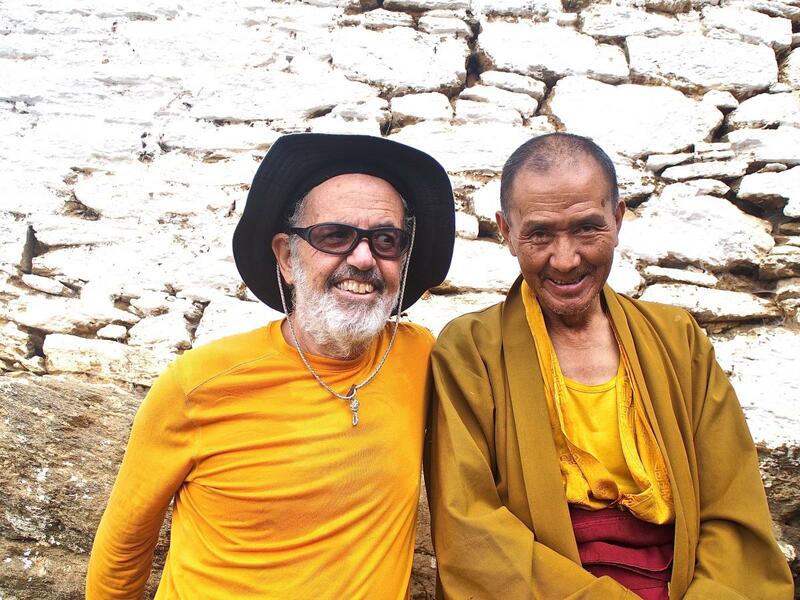 “The beauty of the country and the character of the people keep me coming back,” he says, recalling weekends spent biking and hiking past crystal-clear streams and up to remote Buddhist monasteries with hospitable monks. Rakov also adores the spicy food, particularly ema datshi—a thick stew of hot peppers and cheese curd reminiscent of chili con queso—washed down with a cold Red Panda or Red Rice Lager beer. Rakov has been struck by how small and close-knit the country is; his friends include one of Bhutan’s top surgeons as well as the prime minster. He even recalls running into the King’s father while mountain biking on one occasion. And he fondly remembers the time a Bhutanese resident invited him to a family Puja: As the only non-family member at the Buddhist ceremony, he reflected on how volunteerism was impacting his own life.